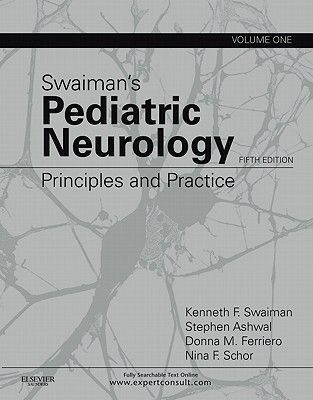 Swaiman’s Pediatric Neurology, by Drs. 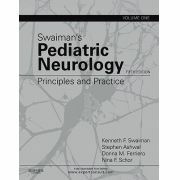 Kenneth Swaiman, Stephen Ashwal, Donna Ferriero, and Nina Schor, is a trusted resource in clinical pediatric neurology with comprehensive, authoritative, and clearly-written guidance. Extensively updated to reflect advancements in the field, this fifth edition covers new imaging modalities such as pediatric neuroimaging, spinal fluid examination, neurophysiology, as well as the treatment and management of epilepsy, ADHD, infections of the nervous system, and more. The fully searchable text is now available online at www.expertconsult.com, along with downloadable images and procedural videos demonstrating intraventricular hemorrhage and white matter injury, making this an indispensable multimedia resource in pediatric neurology. Gain a clear visual understanding from the numerous illustrations, informative line drawings, and summary tables. Tap into the expertise of the authoritative and respected team of editors and contributors. Get comprehensive coverage of all aspects of pediatric neurology with a clinical focus useful for both the experienced clinician and the physician-in-training. Access the fully searchable text online at www.expertconsult.com, along with 16 additional online-only chapters, downloadable images, videos demonstrating intraventricular hemorrhage and white matter injury, and links to PubMed. Stay current on recent developments through extensive revisions: a new chapter on paraneoplastic syndromes in children; a new section on congenital brain malformations written by leading international authorities; and another one on cutting-edge pediatric neuroscience concepts relating to plasticity, neurodegeneration of the developing brain, and neuroinflammation. Apply the latest information on diagnostic modalities, including pediatric neuroimaging, spinal fluid examination, and neurophysiology.